Young children are like sponges. They soak up Krishna consciousness and there is practically no need to expose them to anything but Krishna consciousness. 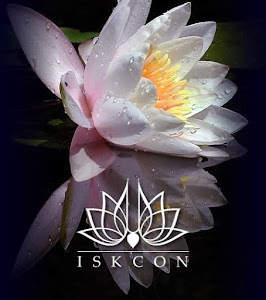 Children should be protected from worldly pleasure by cultivating a joyous Krishna conscious atmosphere in the house so that the children are completely satisfied and their creative abilities are properly channelised. Unfortunately, in the modern society, parents have no time for their children. They give them comforts but not abundant affection and concern, which are needed at all the stages in their life. Children should be handled with affection and discipline. Canakya’s instructions that children be given abundant affection till the age of five, disciplined, if necessary, till they attain the age of ten and a child be treated as a friend once he attains the age of sixteen, should be used with circumspection. Parents should not subject their children to excessive academic pressure. Every child has God given intelligence and ability. The parents should constantly endeavour to create the right conditions for a child’s physical, intellectual and spiritual progress. Parents should try to bring out the best in their children by developing a relationship of love and trust, respect the feelings of the children and at all times and make sincere efforts to inculcate good values in life. 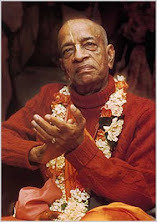 How to sustain and safeguard Krishna Consciousness of devotee children?